When you feel like waiting for life, you shouldn't frown to yourself because you feel like wasting your time doing nothing. Well, what you can do to keep you "still" motivated is to take your 'free time' to your advantage. You might feel discourage because you are jobless, you feel unable, you got no enough resources to get what you called 'life' plus the pressure of the people surrounding you. It is not easy. I know how it feels. As I was saying, instead of making your 'not-so miserable life' into 'miserable' try to make the remaining days, weeks and months before your 'much-awaited' flight date productive and pro-active. 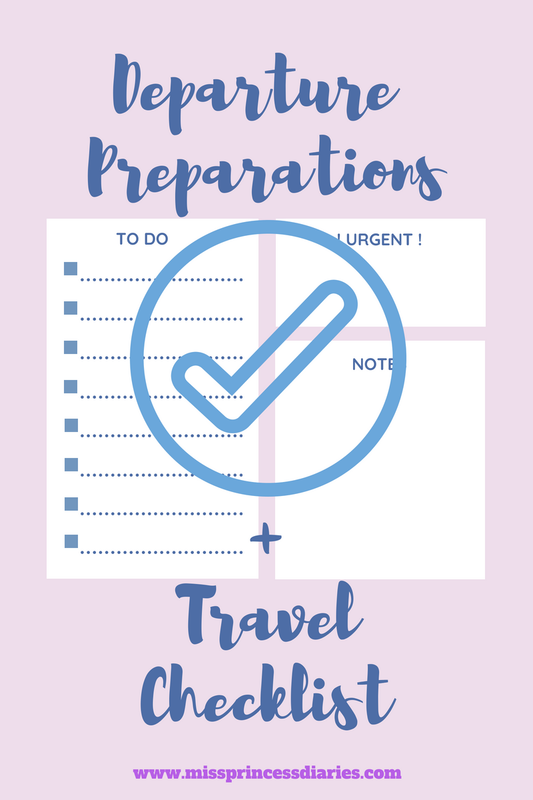 One thing I did was to make a checklist of all I need + all I want to bring with me. To tell you, it is not a one-day job. You might have an intial to buy and to bring list but you always have something you want to put in "the last minute". Preparation is the key. The more time you have, the more prepared you'll become. Instead of wasting your time being so frustrated waiting for your 'right' time and comparing yourself to others, make improvement in yourself everyday. Aside from the material things you will need in your future departure, here are the other ways to keep yourself busy and productive. 1. Read. (if you like! lol) What? seriously? the first on the list? I will not force you to read, when you don't want to. I would just like to encourage you to at least make a little research or find a book about the country you'll be going. It doesn't mean you make reading a habit (if you do, great!). Surprisingly, you find an interesting facts and it will help you greatly in your journey. Not only search about the country (if you find it boring), but also some life hacks you think will be helpful for you in the long run like cook book/list, easy to cook food list, fitness goals, saving tips, travel like a pro tricks. There is so much knowlegde to gain. Great thing, you have a lot of time NOW to read. 2. Sharpen your language skill. When you don't use the language you just learned for a period of time (or longer time), for sure you will miss/forget a lot of important lessons. For example, you learn the languange for 6 months and waited for another 6 months, how can you be sure you are still as sharp as before? not really sure. What you can do is to bring with you a summarize lessons (something you should personally do by yourself), of all the learnings starting A1. Keep it short and easy to understand (based on your pace). Keep it in a notebook you could bring anywhere. You'll never know when you'll be stuck in a conversation. Be sure you have something to say. Some wortschatz come in handy too. 3. Find your outlet. It is not all about the money you will earn, the competence you will gain or even a better lifetyle you will have in the future. Find your core,purpose and what makes you happy. Find an outlet where you can share and inspire people, but first do it for yourself. May it be photography, writing, music, or any hobby that you can do to feed your sense of purpose. Something you are good at or something you want to do. Do it for yourself, do your best, share and inspire others. 4. Make your list. This is a personal thing and you should definitely think by yourself what will be helpful for you or not and what would you like to bring with. By the way, I want to share mine and hope it helps in making your list. My prepared self and extra cash! These things were put in either check-in or hand carry baggage. Being a horder and a lil' paranoid if I don't have my things with me, it was really hard to sort and finalize my list. The least that I want is to have an excess baggage. Thankfully, I put everything in with heavy shoulders and strong arms. *when it comes to food, I am still on a period where I enjoyed every new food that I am trying. I haven't touched much my canned goods and noodles from the Phils that I brought. It takes time and maybe I should save them for the best times.